Niamh is a new player in the world of bread and baking mixes. 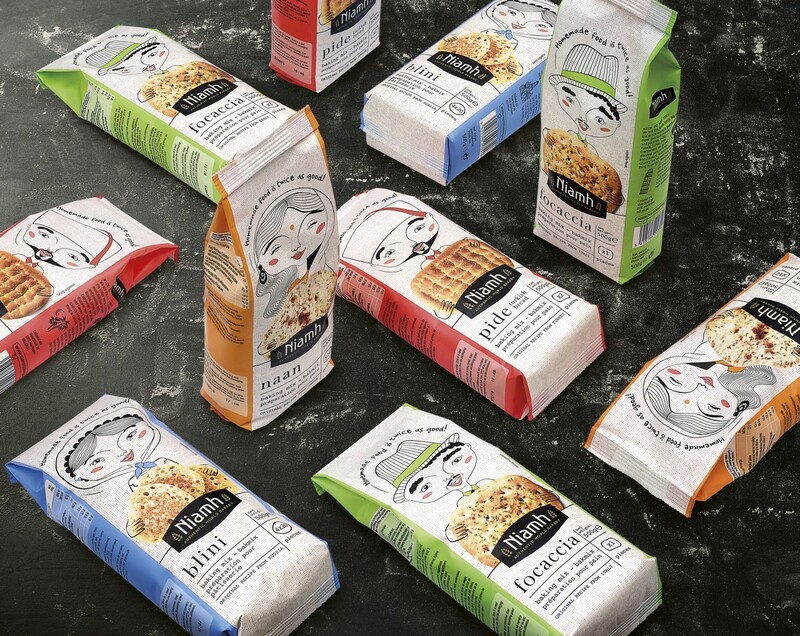 They create high-quality baking mixes inspired by the world’s great cuisines. They are always in search of new flavours to let their consumers explore their own creativity, trying breads with endless variations. 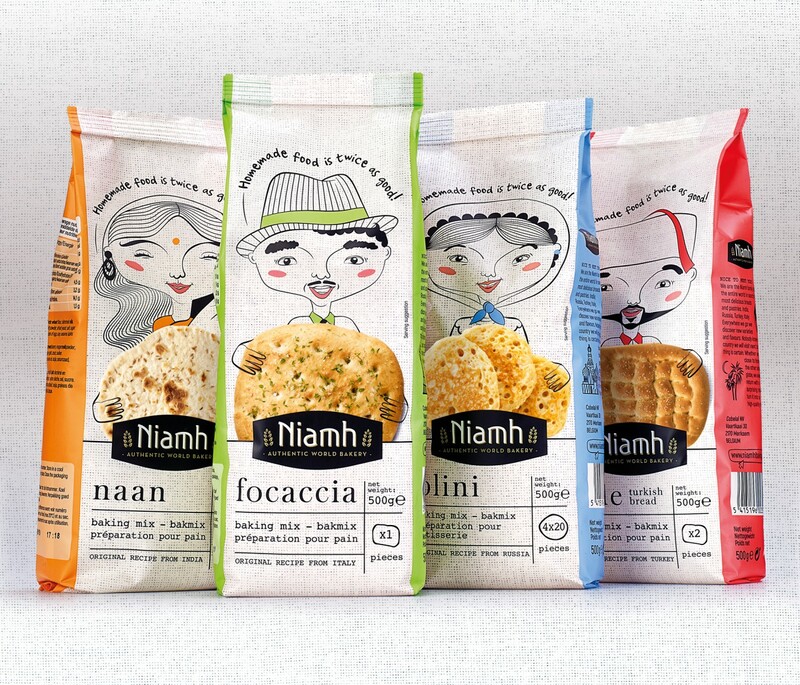 Niamh asked us to create a branding and packaging design for their new ethnic range. Niamh's brief for us, was to primarily create a baking concept that tells a story of origin and authenticity. 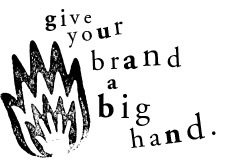 They wanted a home-baking, innovative, qualitative look and feel. Our idea was to present Niamh as an authentic world bakery. 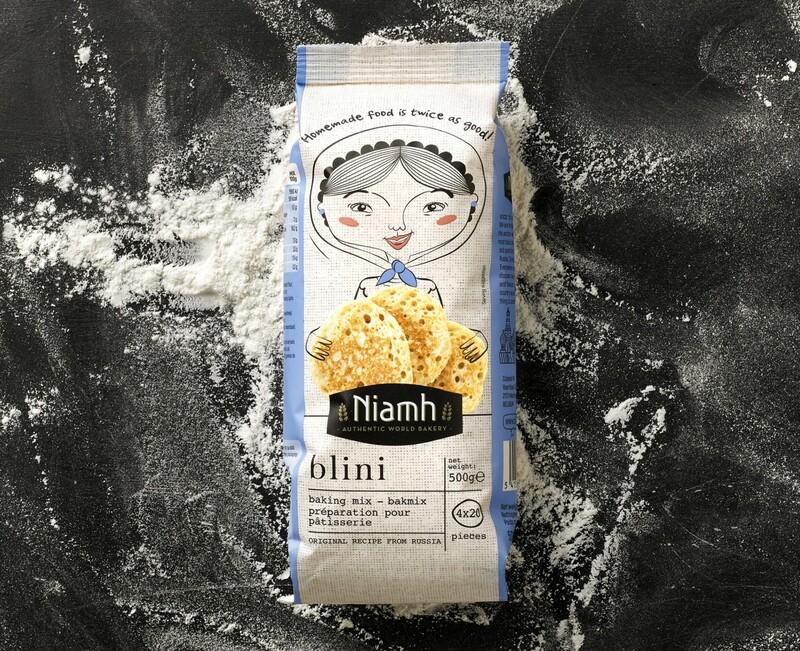 As every nation has its cultural traditions and personality, Niamh provided the platform that celebrated those unique bakers and their characters. Sharing the same purpose around the world and honouring their ethnic & traditional baking recipes. As we travel we experience an eclectic range of diverse flavours & scents, creating memories and enticing the taste buds wherever we go. Niamh brings the world we experience elsewhere, back home. 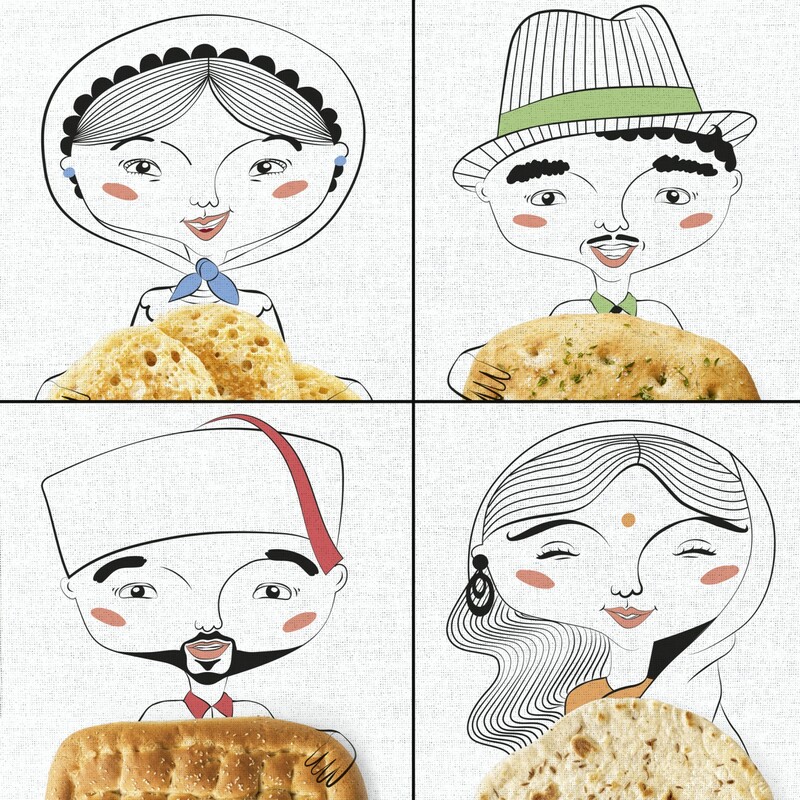 For each pack we personalized the product origins through an illustration of a local Italian, Indian, Russian,…baker. A quirky character that proudly presents their country’s authentic specialty. 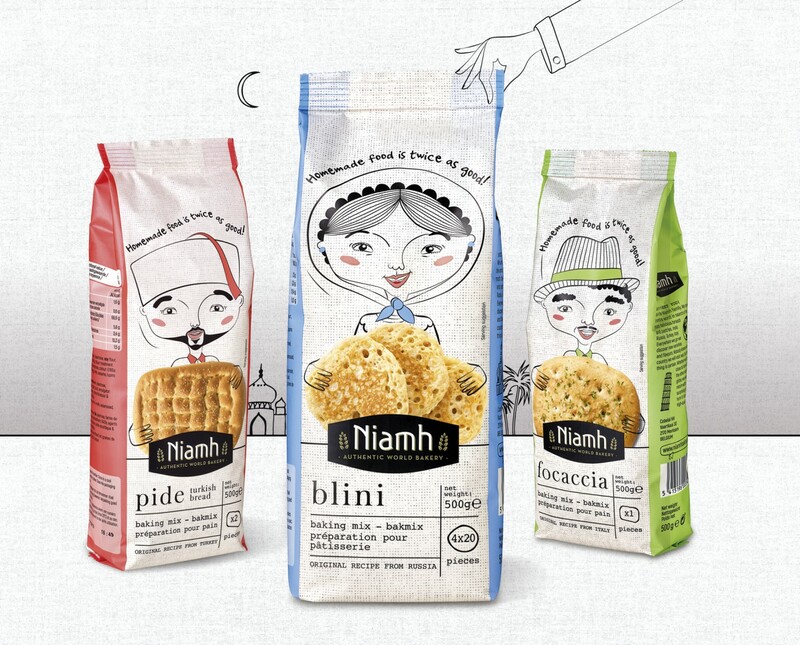 As home baking is fun, so is our approach to the ethnic aspect of this packaging. Bring those world flavours back home and try out some Indian Naan, Italian Focaccia, Russian Blini’s or Turkish Pide. Because after all, homemade food is twice as good!